I enjoy working at a company that keeps me at the top of my game by constantly providing new tools and ideas that help inform and educate my clients best and ultimately grow my business. 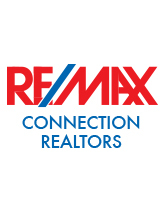 Each RE/MAX Connection office has several agents who consistently rank among the elite Realtors in New Jersey. Being in the same environment with consistent winners helps motivate me to want to work harder, work smarter and achieve more. I believe if you want to be the best you can be you need to work in a winning environment and with the best you possibly can. I enjoy coming to work at a place where the answer to a question can be easily answered by one of my colleagues who are eager to help. The management team is young, energetic and keeps up to date with the latest trends and information. I wouldn't want work anywhere else.